Anthony Sabia, son of John and Jennifer Sabia, recently won the Ann Higdon Math Award. 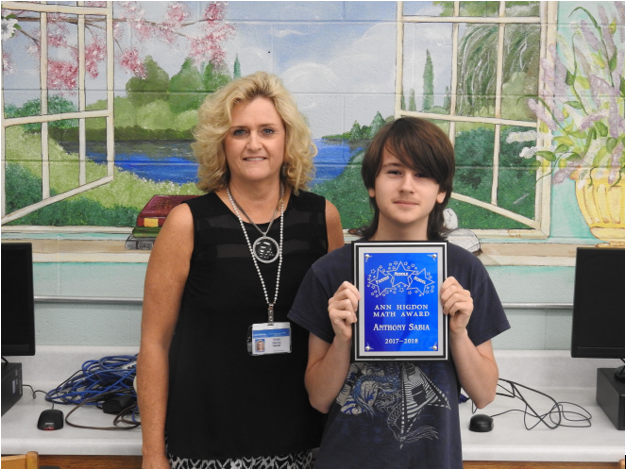 He earned the highest score on the Math portion of the 17-18 Milestones Test. Anthony is pictured with his 8th grade Math teacher, Vicki Henry.